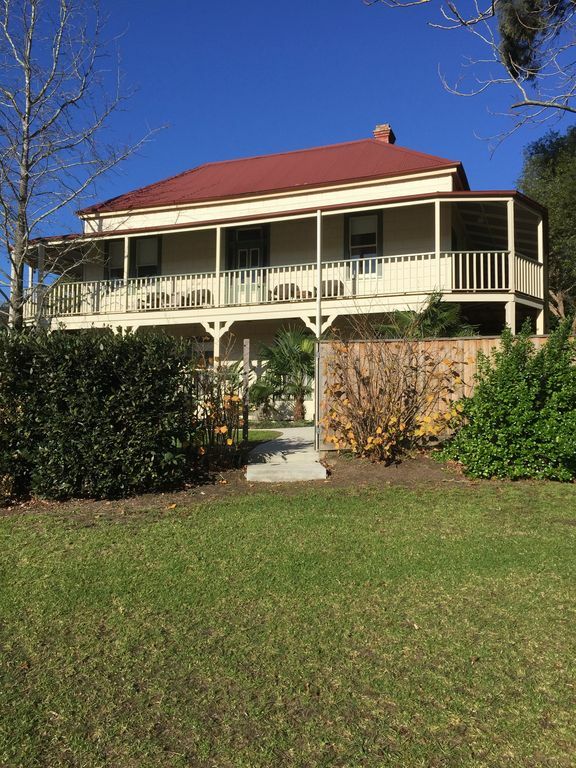 The Healesville Garden Grandview is a stunning Boutique Guest House situated in the Heart of Healesville. A magnificent historic property, the Grandview is a wonderful venue for larger Groups, conferencing, wedding accommodation. Originally built in the early 20th Century as a Private Hotel by Percy Burt (Formally of the Grand Hotel), this graceful dame of Healesville is steeped in local history and has many wonderful stories to tell. Boasting an elevated position, and overlooking the Healesville Township, the Grandview is set in mature gardens, in a prominent town position, with magnificent mountain views. The Grandview has been lovingly restored to reflect its unique charm and character. Over the years, this beautiful space has been a welcome stopover for weary travellers, discerning guests looking for the best position in town, a boarding house, and home to several generations of families. Set high in the Heart of Healesville, this magnificent Building is surrounded by mature hedging to ensure privacy and calm. Boasting a ball room size entrance way filled with comfortable contemporary seating, polished floor boards throughout, 14ft pressed metal ceilings, huge sweeping verandahs, a Grand Lounge Room with Open Fire Place, a Dining Room to seat up to 20 Guests (Our Dining Tables made from reclaimed Spanish timber), and many more original features throughout. This property is the ideal venue for any special occasion. From either simple or intimate, to more lavish, we offer catering packages to suit all occasions. Beautifully renovated, this space has begun its new life as the “Healesville Garden Grandview”. Check in and key pick up will be advised via txt or telephone call. Please also feel free to telephone or txt us before hand for details. The house is perfect for a large family group. It is clean and well presented with only minor maintenance issues which did not detract from the stay. Good provision of cooking facilities and crockery. Excellent large table for dining. Ducted heating great. Perfect location, very near main street and sufficient parking. Prompt assistance from host. We will definitely consider this property for future get-togethers. What a delightful property! Perfect for a large group, great value for money, clean, well appointed and extremely spacious. Thanks for providing our team with the perfect place for a planning workshop and getaway. This property perfectly suited our needs. We had a large family group stay to celebrate my Mum's 60th Birthday. The house was large enough to accommodate our big group, the kitchen was well equipped, the furniture was modern and we had a lovely stay. Amazing house for a large group. There were 14 of us and we were very comfortable. Large living & dining areas to accommodate a large group & the home was beautifully decorated. My only negative would be that the barbeque is very small and not suitable if you were cooking for 14 people.